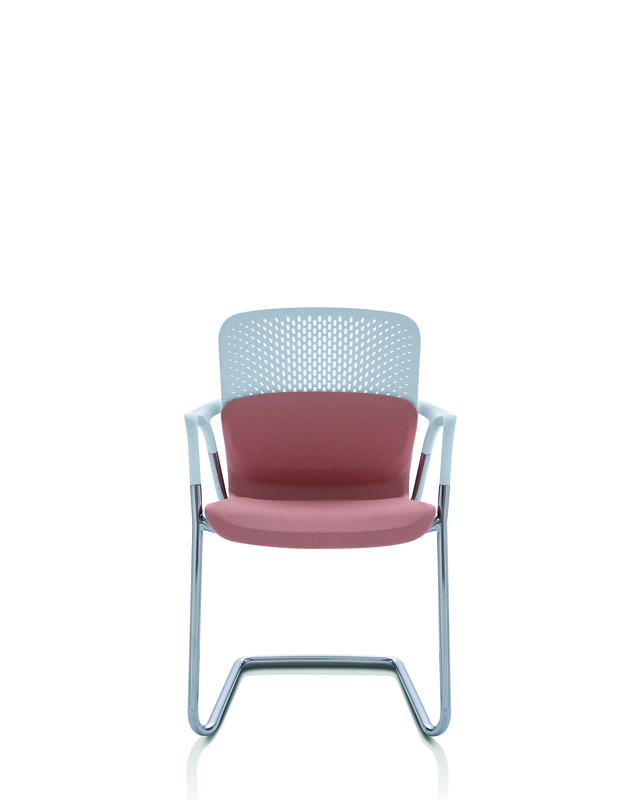 With a wide range of materials and colours the Keyn chair range is perfect for a range of different environments, from work spaces to cafes to waiting areas. They are highly supportive yet easily reclinable and comfortable to move around in whilst seated. 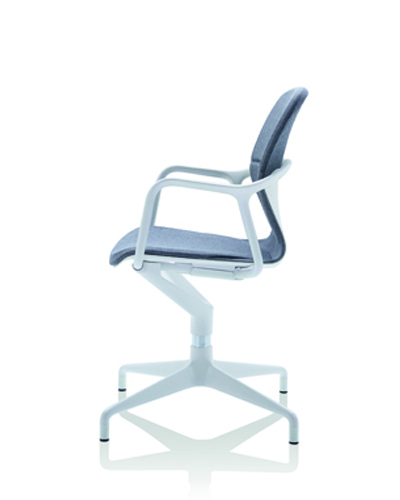 The Keyn chair has been specifically designed to be instantly comfortable and supportive for constant movement. 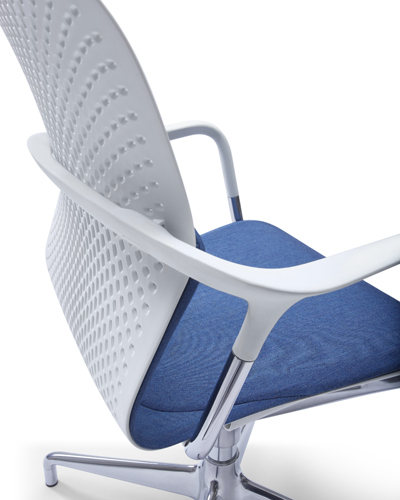 The designers at Forpeople know that movement whilst seated is inevitable, so they designed a chair that responds well when you change position and move around. 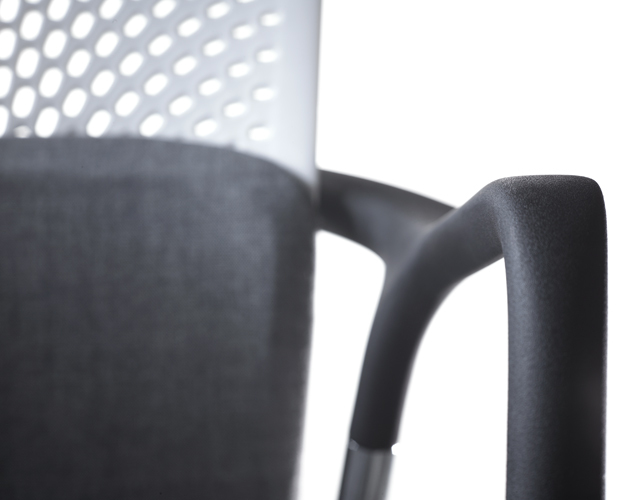 The CradleFlex movement allows the chair to comfortably recline to keep you both relaxed and focused. The designers at Forpeople have created a range of seating suitable for a range of different environments - offices, meeting rooms or cafes. The combination of materials used allows constant ventilation keeping you cool throughout the day. 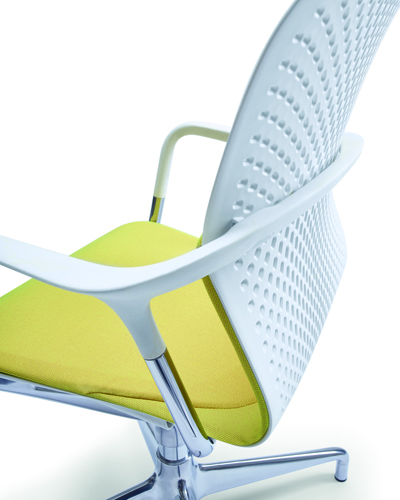 The Keyn chair has been designed with a strong polymer material to keep you supported whilst allowing frequent movement. 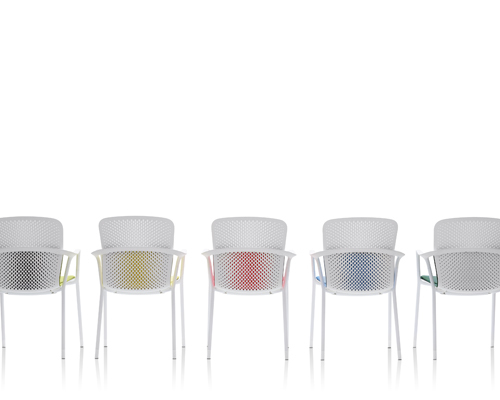 They are available in a number of colours and materials which are easily customisable to suit your preference and fit within your work space. 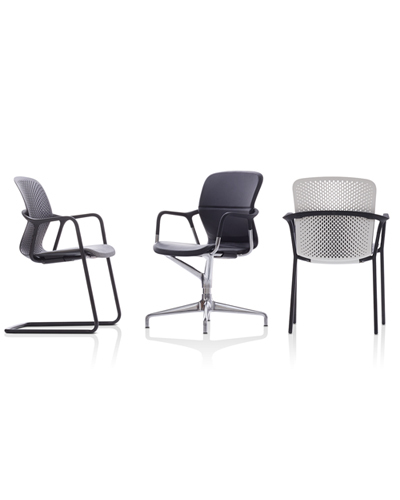 Forpeople, the designers behind the Keyn Chair Group explain the development of the design and how their brief was to create a family of chairs that not only looked great on their own, but also complimented the rest of the Herman Miller range. 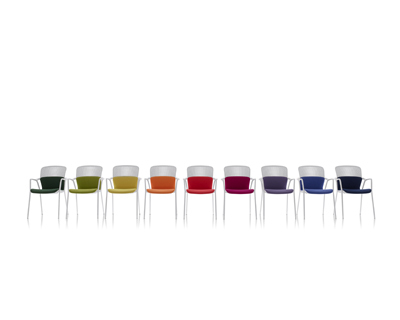 The Keyn Chair is "one chair with many personalities" and offers over 250,000 different combinations of colours, styles and materials. 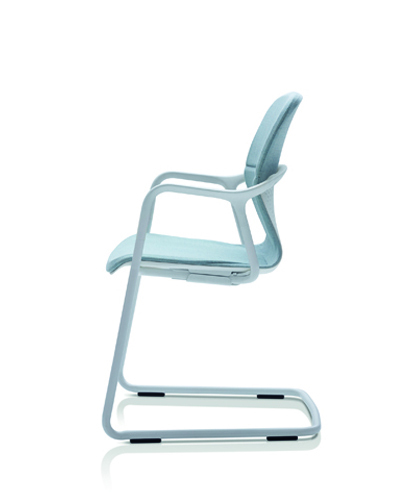 Forpeople did many observations whilst in the design process of the Keyn chair. 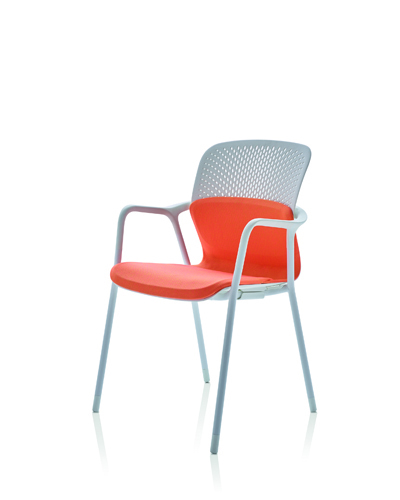 They knew the chair needed to be comfortable seating that worked within many different environments. Whilst observing meetings Forpeople found that people were constantly rearranging how they sat and kept changing position, this meant they knew they had to create a chair that was both comfortable but supportive and flexible. 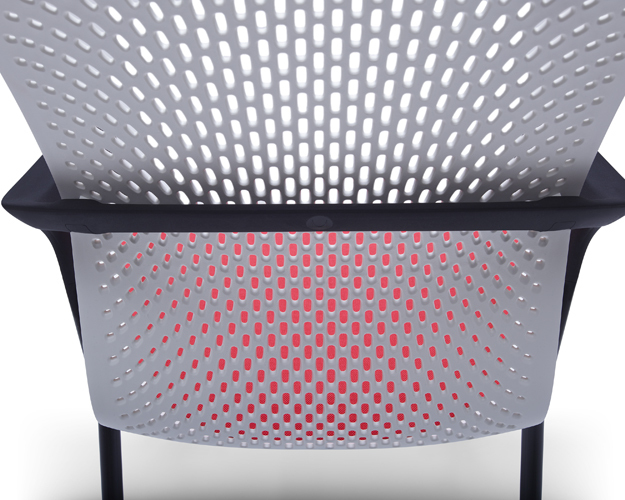 To request more information about the Keyn Chair, simply tell us your details and we'll give you a call back within 2 working hours.